A mattress is essential in any household and has a huge impact on our quality of life, even if we spend most of our time unconscious while using one. With the immense variety of used and second hand mattresses available and the simplistic appearance and function of the mattress, the importance of a good mattress is often overlooked. Like any piece of furniture it is worthwhile to pay a little bit extra to ensure better value, quality and durability. Sometimes stretching the pocket is not optional and no one wants to suffer from buyer’s remorse but investing the extra dollars into a better quality mattress you could begin to see, feel and experience the benefits which expand beyond the bedroom and into your daily life. We have compiled five reasons why a good mattress is worth your while. Now, a more expensive mattress may not necessarily provide a good quality mattress as the manufacturing process and design all go towards creating a good mattress. In saying this, if you invest in a good quality mattress from a respectable manufacturing facility or a brand that promote both ergonomic design and attention to construction you can expect quality. 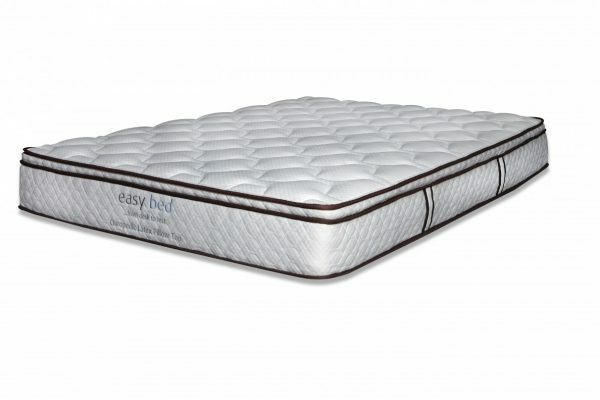 Cheaper mattresses often lack in comparison to a more expensive mattress in regards of quality. It is safe to say that we spend almost half of our lifetimes lying on a mattress and if you want to achieve a good night’s sleep with minimal discomfort then investing the extra money is definitely worth it. A few dollars could make the difference between a great sleep and restless sleep. We sleep so that our bodies can recuperate from our daily activity and a mattress lacking lumbar support or minimal comfort can not only disturb sleep result in sleeping problems such as sleep aponea and snoring. Look for qualities such as lumbar and side support and find a comfort level from soft to firm that complements your weight and shape for a good night’s sleep. Extra money can take you from synthetic to organic or natural materials for an even greater sleeping experience. Organic or natural materials such as latex and cotton are so much better for you. Latex is great for lumbar support and forming against your body’s natural contours and cotton can reduce the risk of skin irritations, allergies and discomfort. This goes without saying, if you pay a little bit more for something, be it a lounge, computer, car or electrical appliance, anything that you will use in some way, it can last longer and is more durable than its cheaper counterpart. A mattress is no different. Cheap mattress can last as little as twelve months, this could be because of cheap construction, wearable materials, dust mites, stains, body weight, while good mattresses have been known to last up to ten years. Dust mites love mattresses as much as we do. As we sleep our bodies shed hundreds of dead skin particles that keep these little bugs thriving, causing skin irritations, asthma and other oral health and skin problems. Investing the extra money can help you sleep protected from these microscopic pests. Look for mattresses and pillows that are hypoallergenic and/or anti-microbial to discourage the development of dust mites, mildew and mould. Chiropedic Mattress Factory Direct can help you find the perfect mattress to suit your needs and your budget. You should check out their site to see their range.